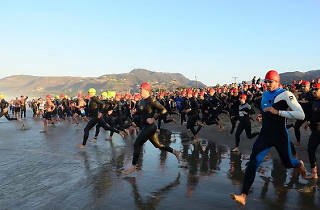 Photograph: Rich Cruse Nautica Malibu Triathlon. 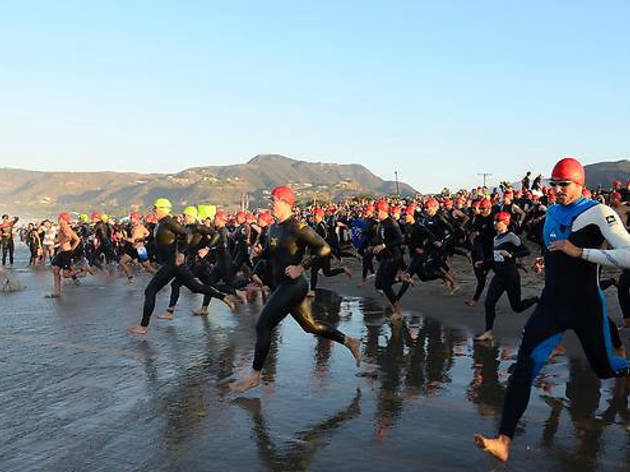 Watch participants swim, bike and run their way along Zuma Beach and the PCH at Saturday's International Distance Race and Sunday's slightly shorter Classic Distance (registration sold out). Funds raised from both races benefit the Children’s Hospital Los Angeles’ Pediatric Cancer Research Program. Stick around on Saturday for a spectator festival, including sand castle demos.